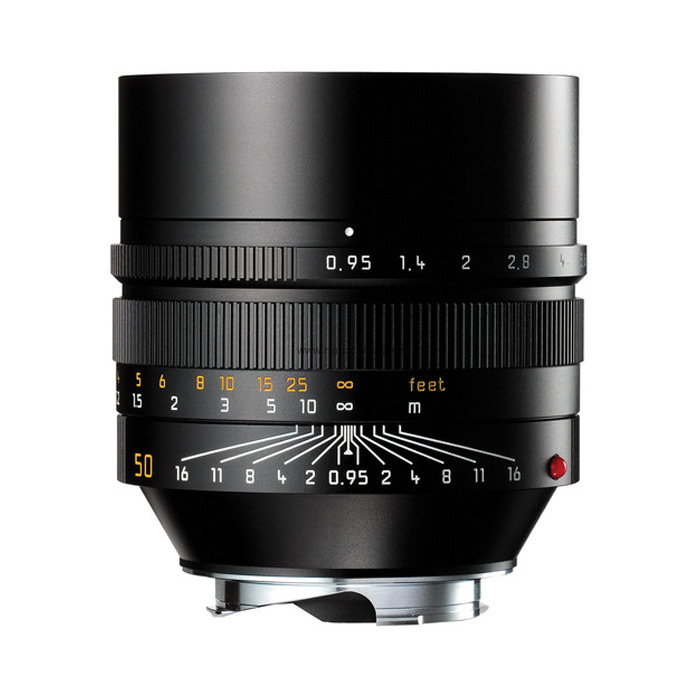 A full review of the Leica Noctilux-M 50mm f/0.95 ASPH(link is external) lens, including specifications, performance charts, overview, sharpness and vignetting tests as well as sample images and links for further research. The Leica Noctilux - a lens that immediately conjures up a variety of responses from photographers, even those that don't shoot a Leica. The lens enjoys an almost mythical status as it belongs to a very select club of ultra-fast lenses. Few commercially available lenses can boast a speed of f/1 (let alone f/0.95). It is also much sought after due to a distinctive character that combines a razor-thin depth of field and relatively strong vignetting when shot wide open. How does the latest incarnation, the Noctilux-M 50mm f/0.95 ASPH(link is external) stack up? The evolution of lens speed is what defines the Noctilux. While lens speed "families" are how Leica names their lenses, the Noctilux remains so-named - but continues to get faster. 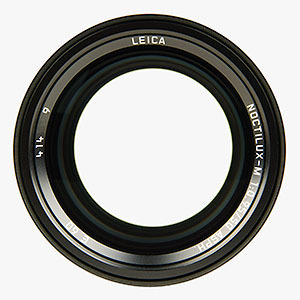 The first Noctilux to be released by Leica was an f/1.2 version in 1966. At first glance, f/1.2 might not seem that fast when compared to what we're used to with modern lenses - but back in 1966 this was big. 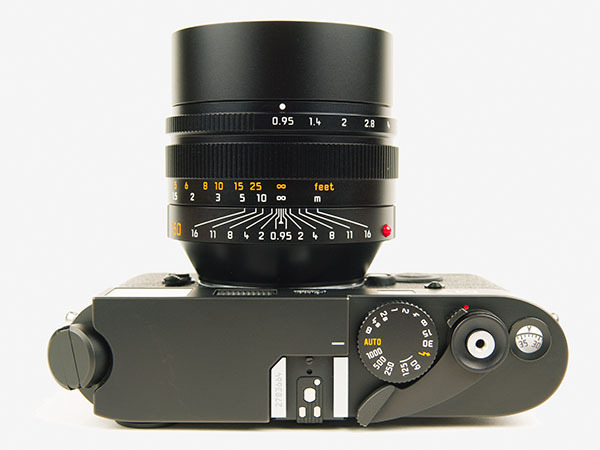 The quintessential Noctilux that most people think of is the f/1, which itself had four versions over its 33 year production run from 1975 to 2008. While the optical formula (by Dr. Walter Mandler) never changed, there are a few subtle mechanical differences. Namely the lens hoods and filter sizes. Earlier versions had accessory lens hoods that attached via bayonet (first and second) or clip-on (third) until 1993 when the fourth and last version incorporated a slide-out hood. The two earliest versions used a 58mm filter thread whereas the versions from 1982-onwards use 60mm. It is suspected that the increase in filter diameter was to combat already strong vignetting wide open when using filters (which Leica doesn't recommend generally). With new technologies in lens design and materials, Leica once again has set the bar for an ultra-high speed lens. 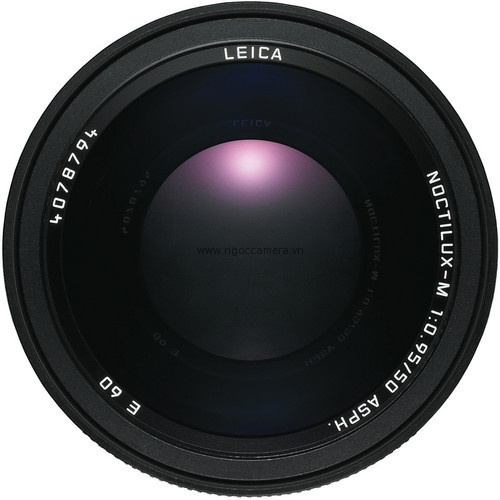 In 2008 they introduced the current version, the Noctilux-M 50mm f/0.95 ASPH. Realizing an 11% increase in light gathering capability over the previous f/1 version it also adds floating lens elements (FLE) for better close-range performance and two aspherical elements. Wide open sharpness, which was never the f/1 version's strong suit - is now quite remarkable. By f/1.4 it gives the Summilux-M 50mm f/1.4 ASPH some competition. 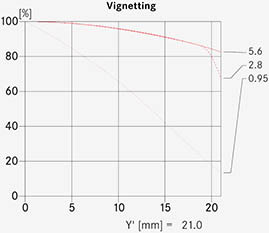 Vignetting, while still quite strong is also improved. Needless to say, the depth of field (or rather lack thereof) which many crave is even thinner (though slightly). Finally, the lens hood has changed once again. You could say one reason is more technical whereas the other more artistic. Therefore, we're going to look at each aspect and how it relates to the Noctilux-M 50mm f/0.95 ASPH (which we'll just refer to as "the Noctilux" from here on). If you're used to ultra-fast lenses you know that they tend to be large and heavy. They just have to be, right? The Noctilux is certainly large and heavy as far as M lenses go. Its length, despite being a 50mm - is closer to the Elmarit-M 90mm f/2.8. The width is also up there and is wider than the APO-Summicron-M 90mm f/2 ASPH. Still, for a lens that hits f/0.95 it's smaller than you might expect or are used to. As for weight, things are a bit different - the Noctilux is amazingly dense. Really dense. It weighs in at 700g, or just over 1.5lbs. If a cannonball had lens caps - it would be like this. Still, it goes to f/0.95... And all things considered it's quite a feat of engineering by any measure. 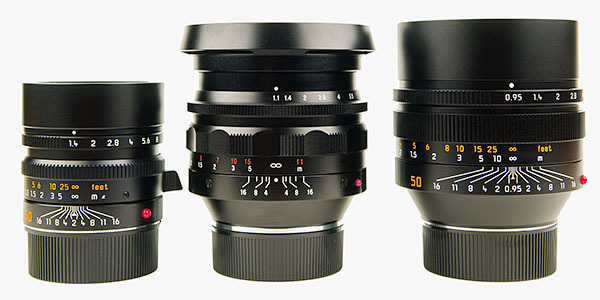 The lenses in the image above from left to right are the Leica Summilux-M 50mm f/1.4 ASPH, Voigtländer 50mm f/1.1 Nokton and the Leica Noctilux-M 50mm f/0.95 ASPH. Both Leica lenses have hoods that slide out and lock while the Nokton has a rigid hood. The idea, rather than to show a hood/no hood comparison is to show how they compare as you might have the lens out and about while shooting. With the hoods collapsed (where applicable) and focused at infinity - this represents their smallest size. With the rigid hood and retaining ring removed from the Nokton, it stands a little taller than the Summilux. The lens comes supplied from Leica as do all their lenses; a (large) outer and inner box, manual, registration card and proof certificate. The lens comes with both front and rear caps as well as a padded leather case. Since this lens was introduced after the M8 (introduced in 2006) they are all 6-bit coded from the factory. What sets the Noctilux packaging apart from their other lenses is a third inner box that's all black and held closed with a ribbon and button. When opened, it reveals the Noctlux laying in a bed of shiny tufted fabric - almost like something handed down from the heavens. For those that enjoy their "unboxing moments" this one is right up there. Mounted on an M body, the lens feels good. The controls are all where you expect them to be. But what you'll notice is that the weight distribution of the camera shifts - you're no longer cradling the camera body so much as you are now cradling the lens when shooting. Comfortable, but different. At this point it's worth mentioning that if you don't have or have never considered an ergonomic grip for the back of the camera (either the Thumbs Up or Thumbie) then you might want to revisit that thought. Since the camera is now much more front-heavy, such a grip is quite beneficial. The Thumbs Up would be our recommendation as it's a bit more secure and provides a larger thumb area. While the Thumbie could probably handle it, we'd just as soon not rely on double-sided tape for a grip on an $18k rig. You can also use the Leica Handgrip(link is external) of course - either by itself or in conjunction with the Thumbs Up for the ultimate in grip. Focus is as accurate as can be, assuming your body is also within spec. There is no hint of focus shift at any range or aperture - a clear sign that the floating lens elements are also working as designed. The feel of the focus ring is somewhat tight but has a relatively short throw of 90º. With use this should ease up a little, but gives you a sense of very fine focus control which is critical when shooting it at/near wide open. If you need fast, fingertip focus control this is not the lens for you - unlike the Summilux and Summicron it lacks a focus tab. A further word on focus... Keep in mind that wide open (and especially at closer distances) there is an absolutely minimal depth of field. Motion, either on your part or your subject can have an impact. However, if you can focus a rangefinder and your technique is in order, there's no reason you can't get along with the Noctilux. If you have good eyesight, or it's properly corrected using diopter correction lenses or the Walter RX Eyepiece, focusing is no harder than any other lens - just more important. A fine distinction, but one nevertheless. A magnifier may be of benefit to you but keep in mind it will affect your view of the framelines also. There is also talk on various forums of people sending in their lens, camera or both to Leica for calibration. While situations like this can surely arise, they are isolated. Tolerances being what they are in the Leica M system, are very tight. Much more so than mass-produced consumer camera gear. The chances of one (or both) being that far out of whack are slim. What is most critical is the proper alignment of your rangefinder, which can lose adjustment from rough handling of the camera. In any event, it would probably be a good idea to do your own testing, if for nothing else than to make sure your combo is hitting the mark. The aperture ring requires a paragraph of its own. Most Leica lenses (modern ones anyway) have a firm detent for the half stops, and they're quite "definitive." You know when you're hitting one. You do with the Noctilux also, but the overall movement is far smoother and quieter - not as "clicky." It's as smooth and positive as you can imagine and allows a single fingertip to sweep the entire range. There's no play at the ends so it doesn't "open or close down just a hair more" as some lenses might. Though like many Leica lenses, the detents are on the light side, so you can accidentally change your aperture in times of quick shooting and it's best to verify your settings once in a while. When shooting film or digitally (with the lens detection disabled) there is rather strong vignetting wide open. While improved over the f/1 version, it's still somewhat heavy at up to 2.5 stops in the corners. This improves rapidly by f/2.8, though is still slightly visible at f/4.0. At f/5.6 and beyond it's essentially gone. When shooting the lens digitally and with lens detection enabled, the vignetting is improved, but not dramatically by the camera's firmware. Vignetting is very easy to further correct (or tweak) in post-processing so it's mostly a non-issue in this realm. As far as maintaining some of the f/1's character in this regard, it's still there. Sharpness wasn't a metric that owners of the previous versions really bragged about however. In fact, wide open it tended to be bit soft. Not that it was bad - just that it wasn't notable, either. All things considered, no one really expected it to be as it was all about the light gathering capability that f/1 represented and at the time it was a feat in and of itself. Combined with a few other things it defined "the Noctilux look" however. The new version will change your mind about what such a high speed lens is capable of. One has to keep in mind that with such a thin depth of field, not much of the image will be in focus let alone sharp... But what is, will indeed be quite sharp now. More so in the central region of the frame - which falls off gently to the edges and corners. A sharp subject juxtaposed against a rapidly blurring depth of field zone in front and behind - long a trademark look for this lens - is even more visually arresting now. The sharp areas are sharper and the blurry areas blurrier. If you're a fan of this effect, you're in for a treat as the new Noctilux delivers. Stopping down further to f/1.2 improves overall sharpness and over a larger area of the frame. Contrast also improves. By f/1.4 the Noctilux is almost comparable to the Summilux-M 50mm f/1.4 ASPH except in the corners. This is quite remarkable. 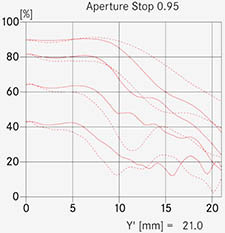 Stopping down further improves performance over more of the frame until about f/5.6 when it reaches optimum. At smaller than f/8, diffraction slowly creeps in and starts to impinge on the quality. 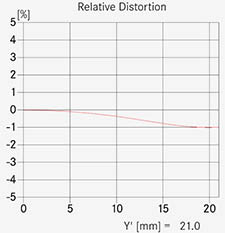 Distortion is slight, almost non-existent for all intents and purposes. You'd be hard-pressed to notice it in normal shooting. If you utilize the new Leica M lens profiles in Adobe Photoshop Lightroom 4 (or the Adobe Camera Raw 6.7 RC) you'll notice a slight bit of correction at the left/right ends [of a landscape shot]. Flare is very well controlled and handling exceptional even wide open. The built-in, slide-out hood is very convenient as it's always handy, impossible to remove or lose yet doesn't add bulk to the lens. Like theSummilux-M 50mm f/1.4 ASPH it slides out and twists to lock in place. In an effort to keep intrusion into the viewfinder by the lens and hood to a minimum however, it's not as deep as some may prefer and where earlier versions were a little better in that regard. As with any lens, its use is highly recommended - though even without, this lens performs very well. Some issues have been noted when using filters, and course applies to any lens when used - so if you plan to use one, be it a UV for "protection" or a UV/IR for M8 use, keep this in mind and try to use only the best filters available. The biggest issue with the Noctilux, really as with any high speed lens - is a tendency to exhibit purple fringing along extreme, high-contrast transitions. For example, somewhat shadowed subjects against a very bright window or the sun reflecting off of shiny objects. The faster the lens, the more likely this is to happen and in the case of the Noctilux, it's handled well but can at times be quite dramatic. In such shooting conditions it's best to stop down. It diminishes rapidly by f/2-2.8 and gone by f/4. If this kills your artistic vision - change your angle, use a fill light or reduce the brightness of the background somehow to lower the contrast in these problem areas. Another solution is to expose these problem areas properly if not a little under - as overexposure exacerbates the issue. In some cases you can edit the image in the LAB or RGB channel modes and brush away the purple but this doesn't work for every photo. No RAW/DNG converter at this time is able to handle it effectively - up to and including Lightroom 4. One area where the new Noctilux doesn't improve upon the old is the minimum focusing distance. Alas, it's still 1m. It would've been nice to see the new version focus down to the more common .7m distance - especially now with the floating lens elements. But there were likely performance issues preventing this. Not a deal breaker to most, but it can be to some and something to keep in mind. For available light shooting, you generally want to keep the film speed (and thus grain) or the ISO with digital (and thus noise) down - or raise the shutter speed with either medium to a point you can reasonably hand-hold to get the shot. It's worth noting just how fast f/0.95 is. It's just over a stop faster than f/1.4, two stops over f/2 and a full three stops over f/2.8. That could mean the difference between a shutter speed of 1/15s over 1/2s - and being able to handhold comfortably or not. Shooting in such low light generally means a high contrast scene - which the slightly lower contrast of the Noctilux wide open handles very nicely. The thing to keep in mind is that while the light-gathering power is there, you're also dealing with a very thin depth of field. It's not a free lunch, so to say. This thin depth of field, of course - is the other reason many choose the Noctilux. Either by making use of the depth of field range this lens offers - or just shooting wide open, all the time. Part of the "Noctilux look" and an increasing trend in recent years thanks to "bokeh aficionados." With slower lenses, that's fairly easy to accomplish with typical ISO speeds. But in daylight, opening all the way up will present problems regardless of medium. The digital Ms are best shot at ISO 160 (their base) whenever possible for the best image quality - though they can be set to ISO 80, which is a "digital pull." You get a one stop benefit, but the downside is a loss of dynamic range in the image. You need at a minimum, three stops to shoot in typical daylight conditions or more for particularly bright scenes. When shooting film, you can get this by switching to slower speed emulsions, but you'd be talking about ISO 20-50 and even that's not nearly enough with a 1/1000s maximum shutter speed. If you're a fan of the "wide open look" regardless of medium, consider a neutral density filter a required accessory and don't even bother with anything less than a .9/8x (three stop) filter. In fact you'll probably want something closer to a six stop filter, which will allow shooting wide open in the brightest of conditions. You can always raise the ISO for occasional shooting in darker scenes such as when the light, subject, etc. changes - but inversely, with only a three stop filter under bright conditions you might run out of shutter speed. A great option would be a variable density filter such as those made by Singh Ray or Fader, but alas they don't come in an E60 (60mm) size. You can resort to the old trick of using two polarizing filters, but your chances of mechanical vignetting become very real. 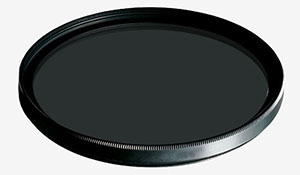 So that leaves single density filters. The aforementioned three stop is also known as a .9/8x whereas the six stop is a 1.8/100x. The problem is that 60mm is not the most popular of filter sizes and manufacturers such as Hoya don't even make any in this size. Therefore we'd suggest either B+W or Heliopan (which we consider the best anyway). As luck would have it, both offer a variety of densities in this size. While B+W only offers a jump from three to six stop, Heliopan offers a couple in between - a 1.2/16x and 1.5/32x. Much better than a three stop but none of these Heliopan filters appear to be multi-coated. B+W offers a multi-coated six stop (as well as single-coated, so be careful what you buy). So that's why we recommend the B+W 60mm #103 MRC filter which runs about $110 and unfortunately, is in stock nowhere (at this time). It really depends on just what and how you plan to shoot. If you want to be able to shoot wide open no matter what, go six. If you prefer something more all-around at the expense of the brightest scenes, go three. Either way, stick with a good name such as B+W or Heliopan and make sure it's multi-coated if at all possible. While on the topic of bokeh and keeping in mind that it's entirely subjective... The Noctilux (both the f/0.95 and its predecessor the f/1) produce some of that "holy grail bokeh." That is, defined yet very... Nebulous. It's quite consistent as far as when shooting wide open - you kind of know what to expect and it's very smooth. Some lenses seem a lot more variable - but even with complicated backgrounds, the Noctilux bokeh doesn't get wiry or "caffeinated." With such a thin depth of field wide open, there's going to be a lot that's not in focus so these traits can be important, especially to those that specifically seek out this look. So while it can't really be rated or quantified, suffice it to say that the Noctilux has a gorgeous rendering. 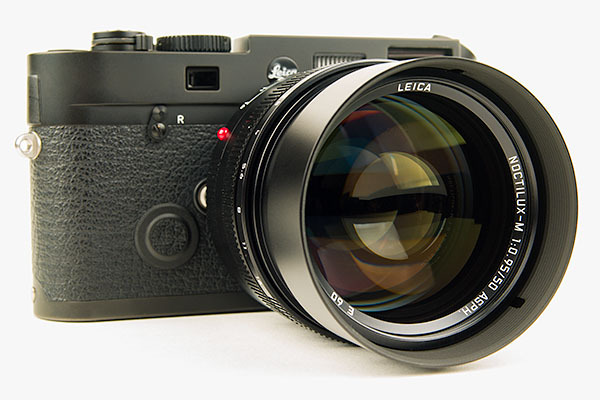 The Leica Noctilux-M 50mm f/0.95 ASPH lens is hard to find fault with. Through the use of modern lens design utilizing "all the tricks" of the trade and exotic materials such as the glass used in the elements, it delivers surprisingly good image quality - even wide open, and can thus be used at any aperture and any distance almost without question or worry. There is practically no distortion, no focus shift, is quite flare resistant and if anything has somewhat strong vignetting in the corners. Its biggest weakness is purple fringing along extreme high contrast transitions. Clearly the Noctilux won't be for everyone, for a variety of reasons. First off, the cost of this lens. Compared to pretty much any other 35mm or even medium format lenses, the price is breathtaking. Even for Leica it's their most expensive lens. Keeping in mind that when it was introduced in 2008 it was a little cheaper, but has since gone up due to one or more price adjustments - at the time of this review, it retails for approximately $11,000 USD (plus any tax and shipping if applicable). If (and that's a huge if) you can find one. 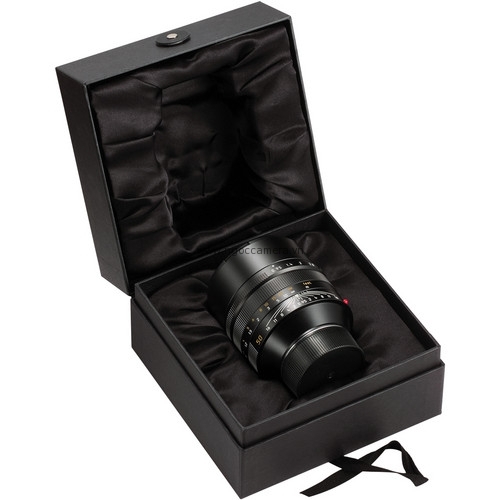 While that can be said for pretty much any Leica lens these days, the Noctilux is a particularly rare bird indeed because of low production volume, with an average wait time of a year (or more). Because of this, the street price is upwards of $12,500 USD when they come up now and then in the classifieds - and they sell within short order. 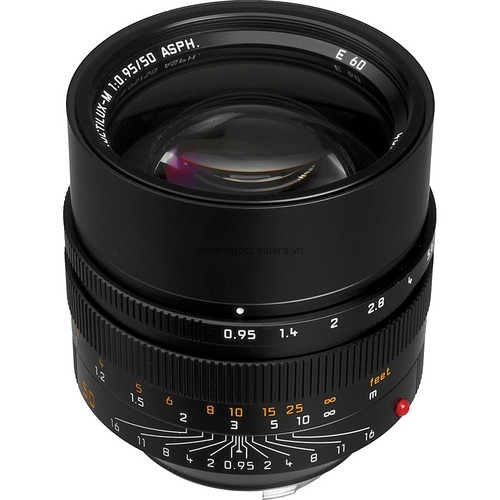 The Summilux-M 50mm f/1.4 ASPH lens is less than half the cost of this lens - for just over a stop loss in speed. The Summicron-M 50mm f/2 by comparison is about half the cost again and two stops less in speed. The moral of the story? Speed costs! Not just the money aspect, but size and weight also take a dramatic turn. Among the three lenses, the Summicron, Summilux and Noctilux - the Summilux fits in the middle of the range very nicely and much as you'd expect. A reasonable compromise between cost, size and weight. Performance-wise they're all of extremely high caliber - in the end it really comes down to "how fast do you want to go?" Some might look at the Noctilux and wonder if it wouldn't make the perfect "one lens" to have. It's perhaps one of the best (or at least common) focal lengths - 50mm. The aperture range covers everything from f/0.95 to f/16. That's where things take a turn. The minimum focusing distance is only 1m. It's large. 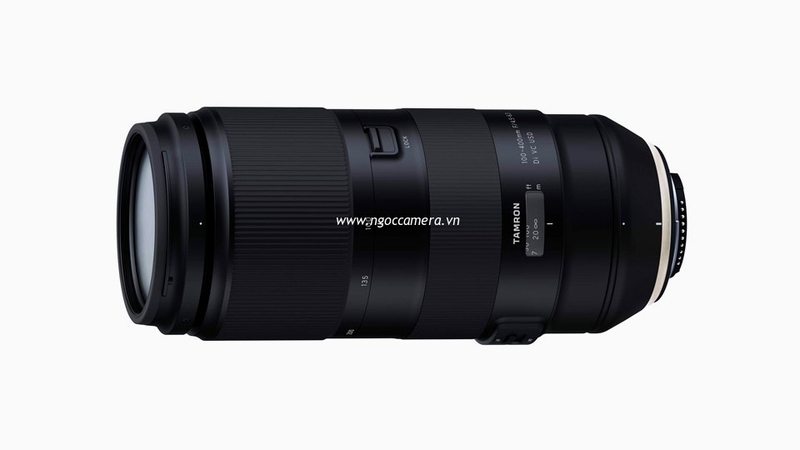 Dramatically larger than both the Summilux and Summicron. It's heavy. Again, dramatically so. Then there's the price. If you can wrap your head around these pros and cons, sure - the Noctilux could be your one lens solution. But it's worth pointing out that it rails against the "M aesthetic" of small and light, and carrying around this combo all day can be challenging. If you shoot an M8 with its 1.33x crop factor, not just the Noctilux - but any 50mm lens as your "standard" lens might feel a bit long. This is because the field of view is more akin to a 67mm lens. Therefore, you might want to seriously consider a 35mm lens instead. Just throwing that out there. Is the Noctilux-M 50mm f/0.95 ASPH worth the money then, in the grand scheme of things? There are no third-party lenses that compare in terms of mechanical construction, feel and refinement. While other manufacturers compare to varying degrees, this is as good as it gets. Optically, there's really not very much to say either as it's also state of the art. Compared solely by similar speed, the only competition is the Voigtländer 50mm f/1.1 Nokton. The Nokton performs reasonably well from wide open and especially stopped down but suffers from focus shift as you stop down. It too is rather large and heavy. When it comes to build and wide open performance at (or near) f/1 - the Noctilux is where it's at and what you're paying for and no other manufacturer compares with their currently available lens offerings. You'd have to look at vintage lenses for the former and give up the latter. In fact the only lens that compares directly by aperture is vintage - an M mount converted Canon 50mm f/0.95 lens. If you need speed, subject isolation and/or image quality, all other considerations be damned - the Noctilux delivers the goods. As a daily carry lens you would probably be better served with the Summilux if not the Summicron. This is a highly specialized lens and while perhaps not the only game in town - it's as good as it gets. Just for the sake of comparison and to provide a sense of how sharp this lens actually is, consider the following five images. 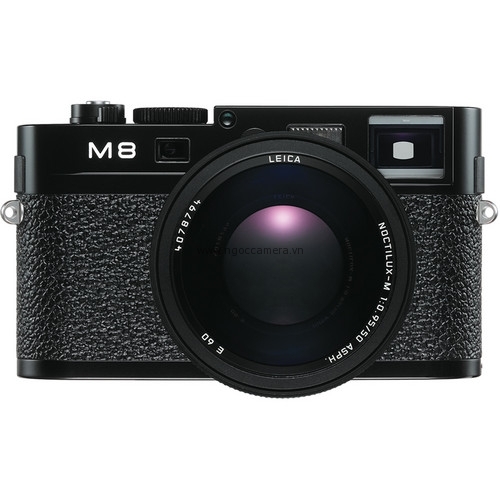 They are all shot at f/2 on the M9 and come from other lens reviews done in the same way. The first lens is the Zeiss Planar T* 2/50 ZM, followed by the Voigtländer 50mm f/1.1 Nokton, Leica Summilux-M 50mm f/1.4 ASPH, the Noctilux-M 50mm f/0.95 ASPH and finally, the SLR Magic HyperPrime LM 50mm T0.95. Ignore any white balance or brightness differences and rather take note of the contrast and sharpness between black and white, especially in the fine details. The color móiré you're seeing in the Summilux and Noctilux shots is an indication that the lens is outresolving the sensor. Here's a video that Leica produced, showing the manufacturing of lenses. 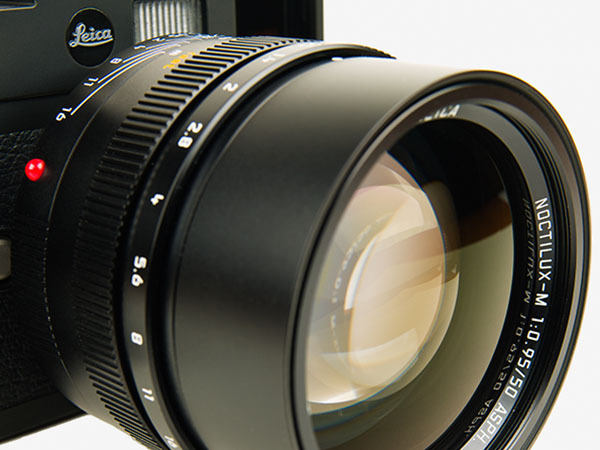 Heavily featured is the Noctilux-M 50mm f/0.95 throughout the various stages.